President Ram Nath Kovind on Friday appointed BJP leader Vinay Sahasrabuddhe as the President of Indian Council of Cultural Relations. 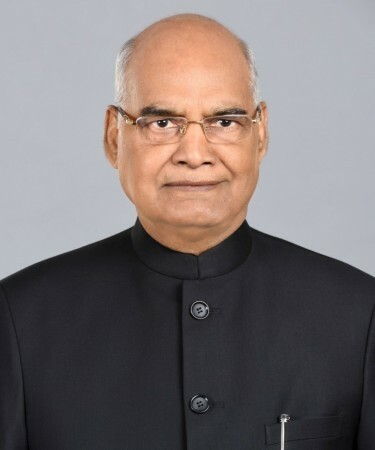 "President has appointed Sahasrabuddhe as the President of ICCR today (Friday)," a Bharatiya Janata Party leader said. Sahasrabuddhe, the BJP's national Vice President, is also a Rajya Sabha member from Maharashtra. ICCR, which was founded in 1950 by India's first Education Minister Maulana Abul Kalam Azad, who also served as its first President. Former Presidents Dr Shankar Dayal Sharma and K.R. Narayanan, former Prime Ministers P.V. Narasimha Rao and Atal Bihari Vajpayee have also held the post. The ICCR's main objectives are to actively participate in the formulation and implementation of policies and programmes pertaining to India's external cultural relations and to foster and strengthen cultural relations and mutual understanding between India and other countries.